Apparatus for moistening adhesive coatings on postage material and the like which includes an enclosure having a container of liquid therein. 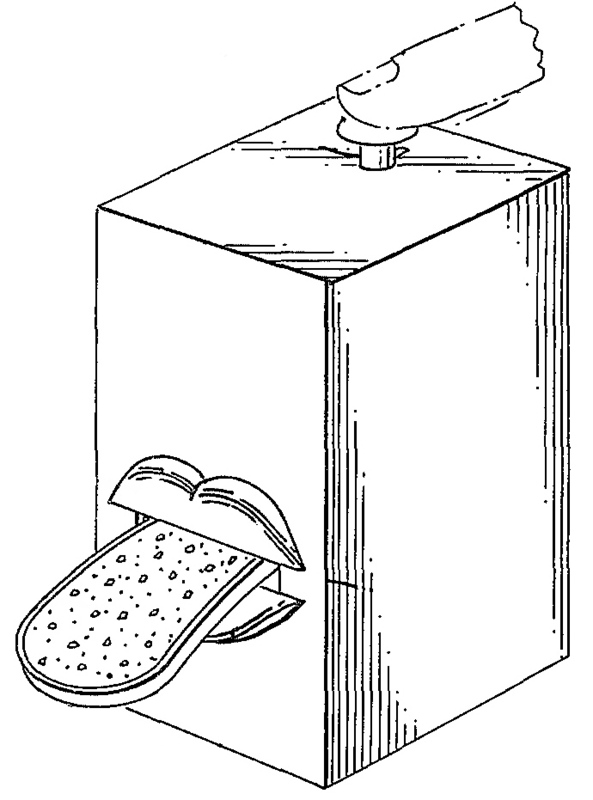 A plunger is provided to lift an absorbant applicator from the liquid and pass the applicator through an opening in the side of the enclosure. A closure member for the opening is opened in response to the applicator movement. The applicator may be in the form of a human tongue and the closure may be in the form of a human lip.